Thoughts about Delphi, C#, .NET and Software Architecture. One of the biggest disadvantages of any web client is that they are stateless. They don't know if anything happens in the server side unless they request the information again and again. 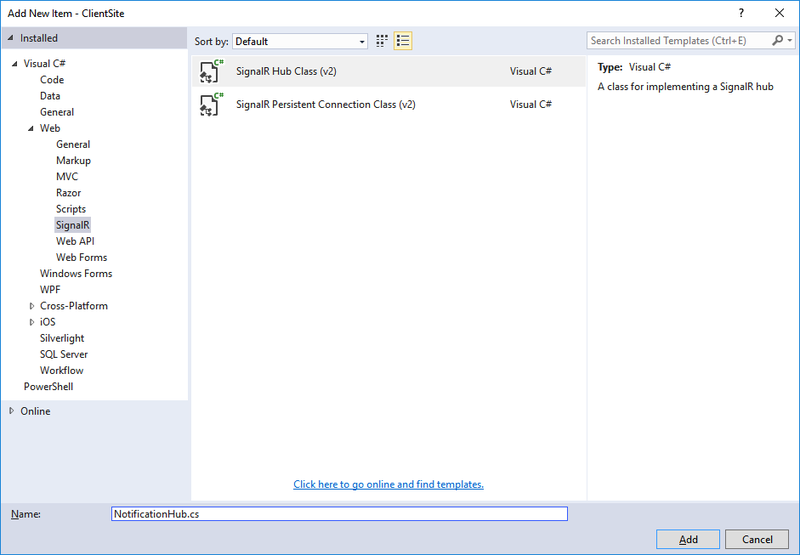 In this article you will learn a very useful way of pushing updates from the server to the client using SignalR. The idea behind this concept is very simple; I need to find a way to inform the user that there will be some maintenance occurring shortly on the site and that I need them to close the browser to avoid any data loss. 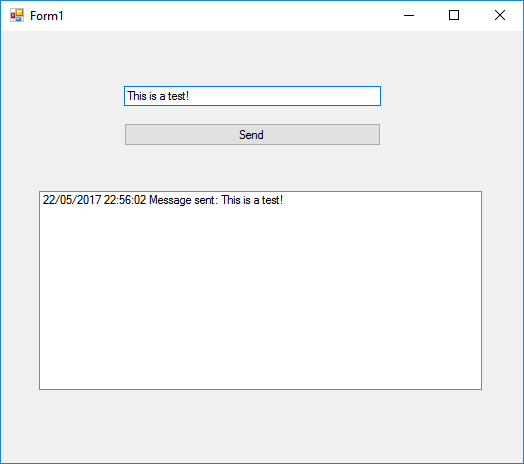 This is a very simple and elegant way using the ASP.NET library SignalR. This amazing library is designed to use the existing web transport layer (HTML5 Websockets and other technologies for old browsers) and it's capable of pushing the data to a wide array of clients like web pages, windows apps, mobile apps, etc. It's extremely easy to use, real-time and it allows Developers to focus on real problem leveraging the communication issues to SignalR. 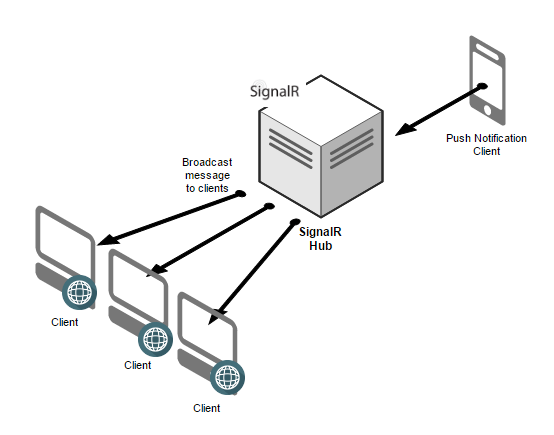 The image above shows the idea behind the implementation of the SignalR ecosystem. We need to be able to push a notification from a client and that this message gets broadcasted to every single client that's listening to the SignalR Hub. This will create a class that inherits from the Hub base class. This will allow you to map the available hubs using the Owin startup. Now that the Hub is ready, we need to focus on the client that will display the message received by it. This page contains the jQuery and SignalR scripts, the SignalR Hub and the proxy hub object using the "var notificationHub = $.connection.notificationHub;" command. Notice that notificationHub starts with lower case. This is actually very important! because if you don't write it in lower case the reference will not work!. With this approach, you will be able to inform all your connected users easily, irrespective of the client technology or platform. The source code of the project is still not available on my GitHub page, but I will make sure to make it available so you can test it locally and see it by yourselves. 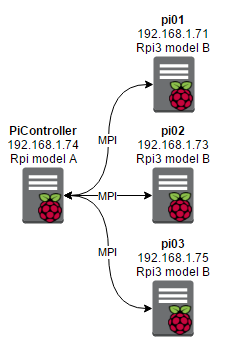 Creating a Raspberry Pi 3 Cluster - "Supercomputer", for parallel computing. | All code samples included in this blog are licensed under a Creative Commons Attribution 4.0 International License.